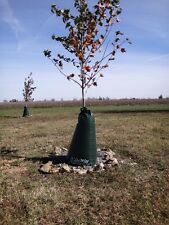 6 AQUA SPIKES ~SLOW/TIME RELEASE GARDEN/PLANT WATERING -You add sand,H2O,bottle. Free 8 Pattern Sprinkler. Tough as nails but gentle on your garden. Works at any water pressure. It's super lightweight design makes it the easiest hose to carry, reel and unreel. Don't have a hose reel?. NEW washers. High Quality. MADE IN USA. This Complete Plastic Garden Hose Connector set has everything you need to make hooking up accessories and other hoses quickly and easily. With these connections, you can quickly take off your accessories or change to a different one without having to go turn the water off and unscrew it. 【Hose Splitter 2 Way】Connect it between tap and water hose,you will split one water flow into one,washing your car and watering garden at the same time 【Heavy Duty Brass】Made of high quality brass materials, solid and durable, corrosion proof and has a long service time 【Individually On&Off Valve】With independent on/off valve to control two water pipes separately 【American Threand(NPT) 3/4" or Europen Thread 3/4】Fit for Standard 3/4 diameter connection. Please check your tap or hose/pipe thread before choose the right one 【Practical Tap Splitter】Great for home gardening or washing machine or car washing . Simply insert the glass straw into the soil and just enough water is automatically given to your plants, eliminating the need to use your watering can or monitor the soil. Watering lasts for two weeks until you refill the bulbs. 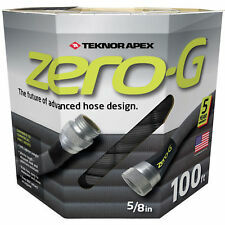 These hoses feature a 4-ply reinforced construction with exclusive Water Guard Leak Free, technology, designed to eliminate leaks and wasteful watering. A built-in Save-A-Hose, kink free hose saver prevents kinking of the hose at the faucet, while solid brass couplings last season-after-season. 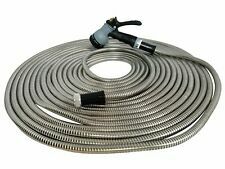 You will not find a higher quality expandable garden hose anywhere. - ★ LIGHTWEIGHT WILL NOT TWIST TANGLE OR KINK. This hose does everything the other hoses claim only better. - ★ INDESTRUCTIBLE MULTI-LAYER LATEX CORE. Lot sale of 6 GILMOUR 5/8"Garden Hose - 3/4 Male Garden Hose End Repair Couplings. Gilmour # 01MGF. Gilmour, Male Hose Repair Coupler with Stainless screws. Use For 5/8 Hose / 3/4 male Garden Hose Repair. Shut off all water flow with just a quarter of a turn of our comfort-grip lever arm which is easy on the hands. This brass shut-off is made of solid brass. The inlet thread are of BRASS with plastic over-mold for greater comfort. When you turn off the water to the hose, it shrinks back to its original mini size, practically putting itself away. Best of all, it never kinks, twists, or tangles like ordinary hoses. Perfect for your gardens, terraces, patios and more. Work perfectly with any standard garden hose. 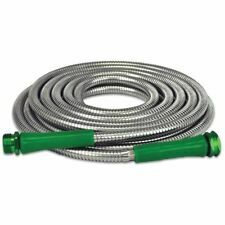 Green Thumb 7FHS7FGT Brass Double Female Swivel Hose to Hose Connector 3/4"
The double female hose to hose connector allows two 3/4" male hose ends to be connected and swivels for easy hook-up. Solid brass. 5 out of 5 stars - Green Thumb 7FHS7FGT Brass Double Female Swivel Hose to Hose Connector 3/4"
5 product ratings5 product ratings - Green Thumb 7FHS7FGT Brass Double Female Swivel Hose to Hose Connector 3/4"
Solid brass splitter for garden hose.